MOSCOW - SEPTEMBER 6: Hair stylist Eugenia Soboleva makes hairstyle for redhead man at Davines Hair Show 2010 in Moon Theater, on September 6, 2010 in Moscow, Russia. sd01:18CIRCA 1930s - Set in the 1930s, a farmer becomes entwined by an exotic dancer while the farmer's wife is less than amused. hd00:15Close-up of hands typing on computer keyboard. 4k00:36Two professional architects go over blueprints for a house in modern industrial office during the day. Medium to wide shot on 4K RED camera on a gimbal. hd00:28Winding the hair on reels. 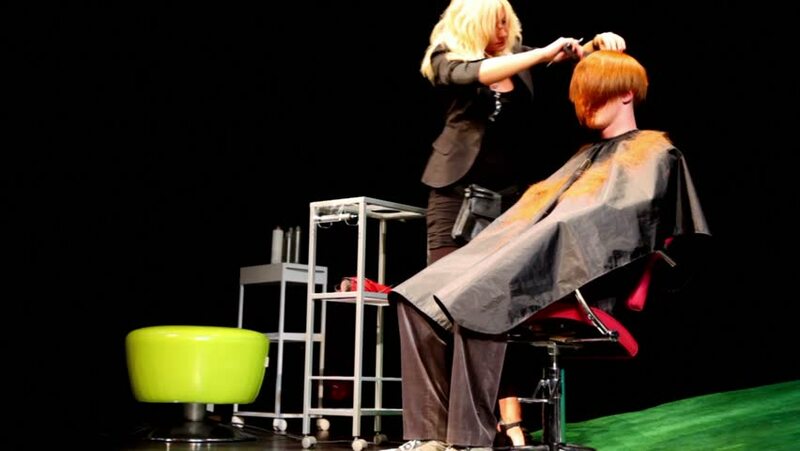 Slow motion total RAW footage of a woman seating in front of a mirror and the hair dresser is winding hairs on a reels.